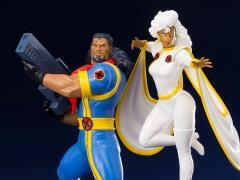 The next duo to join the X-Men ’92 lineup is Bishop & Storm! 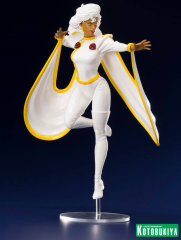 A powerful mutant who can control the weather, Storm appears in one of her most-requested costumes, an iconic white body suit with a unique cape that connects to her wrists. 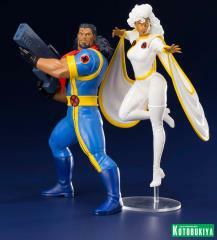 Joining Storm is Bishop, an XSE Agent from the future who returns to the past to prevent the assassination of Senator Robert Kelly. 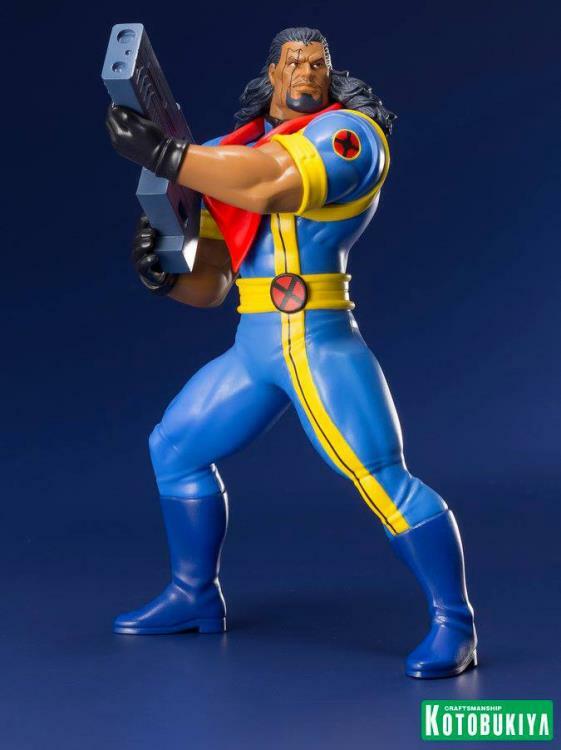 Bishop’s vivid color scheme evokes his appearance in the 90s animation, while the distinctive “M” scar above his eye that brands him as a mutant reminds us of the tragic future from which he hails. While these statues do not include magnets in their feet or bases (they stand up just fine on their own) their straightforward designs and color schemes provide an optimal balance of quality and value. Display this powerful pair on their own or alongside the previously released heroes, and keep an eye out for more X-Men ’92 statues coming soon!